Where do Meatless Mondays come from? According to an article by Global Citizen, this idea originally came to life during the difficult times of World War I. At some point during the war, the US government reportedly made an effort to encourage US citizens to observe one day each and eat meat-free meals, in the quest to save food supplies and finances. Now it’s making a proper comeback for health and sustainability. reducing animal products, fried foods, refined grains, and added sugars. “Meatless Mondays are good for our students, communities, and the environment,” said schools chancellor Richard A. Carranza in the city’s press release. “Our 1.1 million students are taking the next step toward healthier, more sustainable lives. 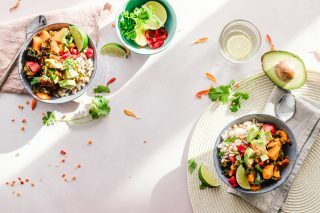 “Through Meatless Mondays, the students in New York are providing a leading example of how global action can be taken by individuals to switch to healthier and plant-based diets that can have beneficial impacts across countries and communities and for achieving climate goals. As we move towards a planet that needs to meet nutrition needs of 10 billion people by 2050, shifting to more conscious decisions about food choices that avoid meat is probably the single biggest way to reduce negative impacts on nature,” said Satya Tripathi, United Nations Assistant Secretary-General and Head of UN Environment Programme New York Office. 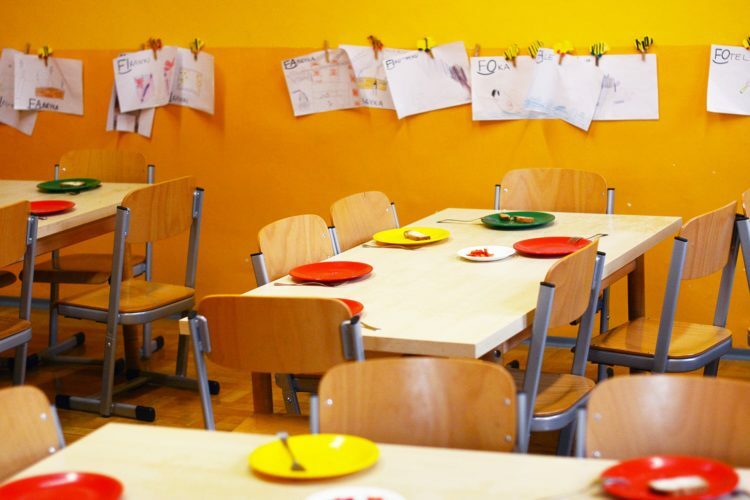 In honor of this initiative from New York schools, we thought we would share one of our favorite recipes – one that is sure to provide excitement for the kids come dinnertime! 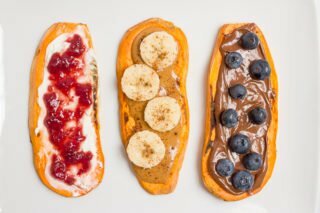 Sweet potatoes are such a treat – they are high in vitamins, minerals and they’re a great source of healthy carbs, not to mention naturally sweet. 1. Preheat the oven to 180◦C/350◦F/gas mark 4. Line a baking paper tray with baking paper. 2. Place the sweet potatoes on the prepared tray and bake for 45 minutes. Once cooked, cut in half lengthways, scoop out the flesh and put in a bowl, leaving the sweet potato skins intact (top tip: it helps if you leave some sweet otato inside the skins to prevent them collapsing. 3. Mix the sweet potato flesh with the yoghurt and tahini. Stir in the black beans and the remaining ingredients, apart from the ground almonds. Season to taste. 4. Spoon the filling back into the potato skins, sprinkle 1 tbsp of ground almonds over each half and grill for a few minutes until golden. 5. 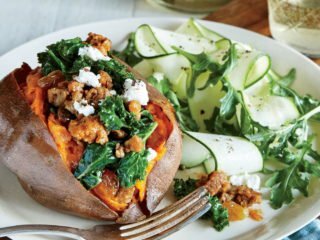 Serve one sweet potato with your choice of steamed greens for dinner and pack the other away for lunch the next day. Want to take it up a notch on your pizza-making prowess? Click here for the best recipe for cauliflower pizza with a crispy base – and enjoy it guilt-free!